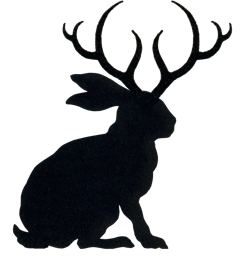 Fredoit who had worked as a newspaper engraver on the East Coast prior to heading west to make his fortune as a trapper, began by candle light to draw the unusual animal. 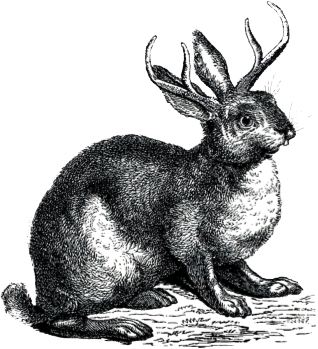 Before finishing his drawing he coined the name “Jack-a-lope” in honor of his lover Jacqueline and the fact the animals horns reminded him of an antelope he had seen earlier in the day. Not wanting to be called a liar he kept the secret to himself only confiding in his sweetheart when he returned to his home base of Medicine Drum. 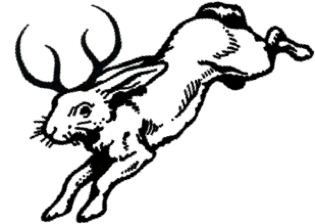 When telling Jacqueline - known as “Jackie” - of his discovery, she mistook his term Jack-a-lope as meaning “Jackie, you want to elope?” which she readily accepted as a marriage proposal. She became so excited that she announced her desire to the entire family that very moment. Artmis being a gentleman, could not bring it about himself to correct the mistake and married her within a week. 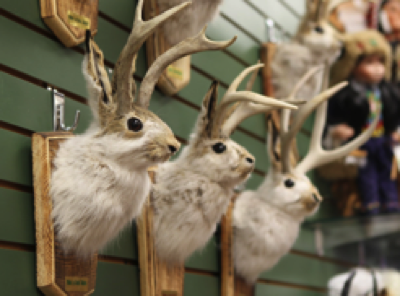 After marriage he suffered what many former hunters do and never hunted again. 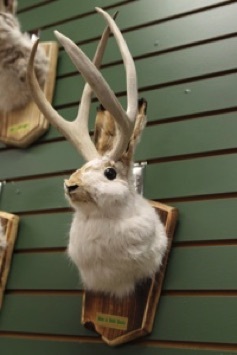 But the elusive and mysterious Jackalope would before too long make yet another appearance. 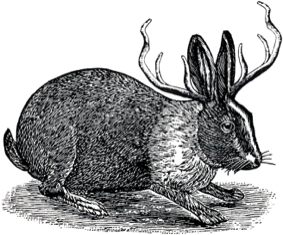 The next sighting of the animal occurred in 1809 around 100 miles, as the crow flies, from where the first Jack-a-lope had been observed in 1790. 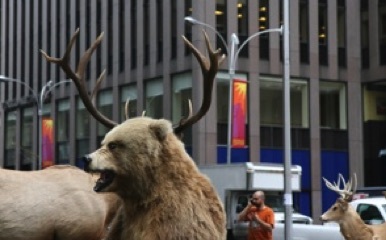 This time the animal was seen by a group of three trappers hunting beaver when they happened upon it. 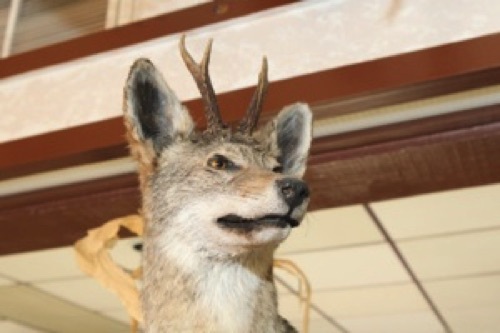 Quick on the trigger, a trapper known only by the last name of Timbu managed to shoot and wound the animal. It was soon traced down and caught by the group. Unfortunately, the animal died within minutes of being captured. 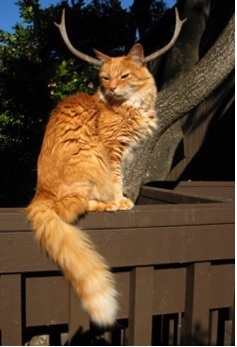 Timbu skinned the animal and returned to his cabin with the valuable pelt. 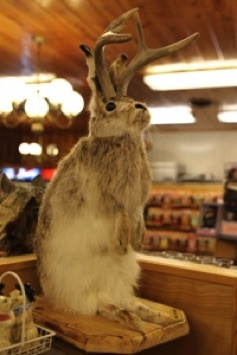 Hard pressed to describe his unusual prize he called it “Mountain Deer Hare”, a name that never stuck. 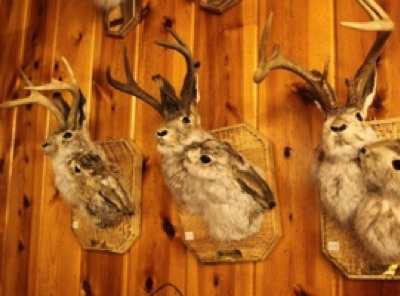 Since that time the Jackalope has been seen and trapped many times making it the South Dakota state mammal. 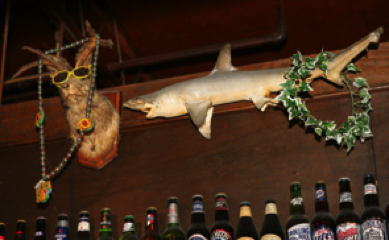 But at no time in its entire history was it more popular than during the during the 1940-1950s when it became the mainstay of tourist legend in the west. 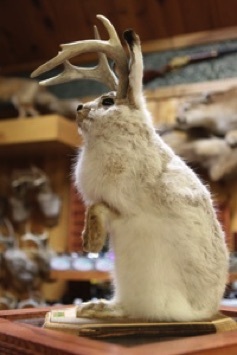 While it has been hunted almost to extinction, it may still be seen today by a lucky few who cross its path in some of the remote regions in the western states. 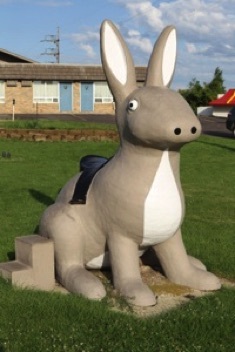 While the animal prefers high alpine boulder strewn areas where it can take shelter from predators, it can occasionally be seen during its summer migration along the side of highways where it is attracted by the noise generated by rubber tires on the hot and sticky pavement. Scientists believe the noise of passing traffic is similar to that of the mating call made by females. 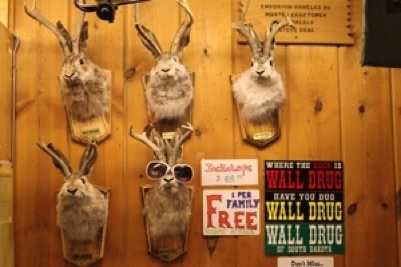 Be sure to keep you eyes open when traveling in and through the western states for the old Jackalope! 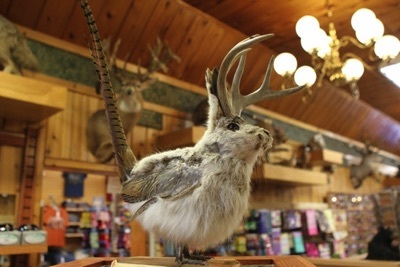 By 1809 the Jackalope took on a new look with more discoveries of the strange animals. 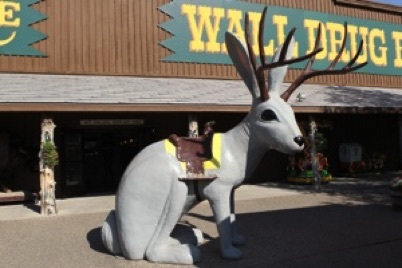 By the 1940s and 1950s the Jackalope took on a new whimsical look and began feeding the tourist trade. 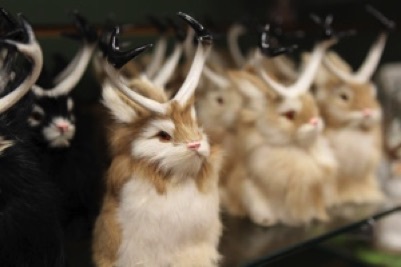 While live specimens are still quite rare, there are a heck of a lot of mounted and fiberglass Jackalopes to be found all over the state of South Dakota.